Here at RPA Dental Equipment, we listen to our customers, and in acknowledging all dentists have their individual requirements, we have selected the very best brands in order to give you the best quality within your budget. Cattani invests in state-of-the-art manufacturing facilities, product development and energy saving research, delivering unbeatable performance and power. 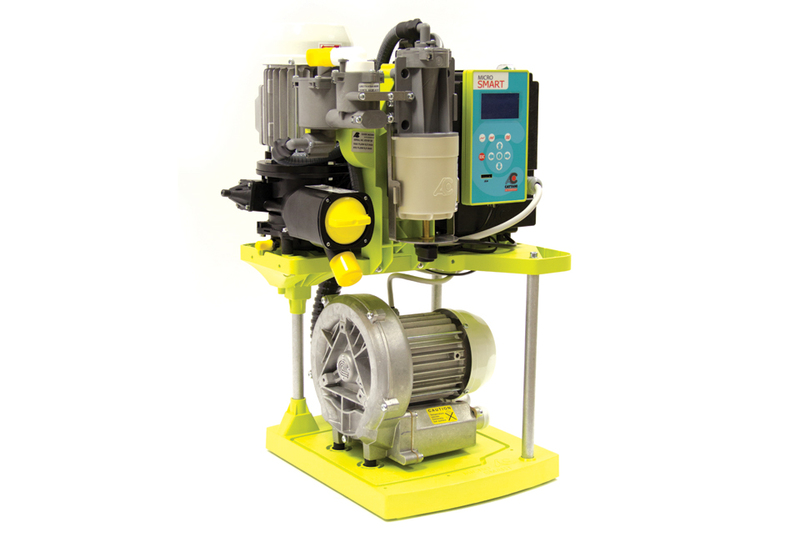 Cattani Smart suction systems utilise an industry first variable speed drive, reducing noise, heat and power consumption. Our suction systems are hand-built and produce high performance at affordable prices. Cattani Smart systems are supplied with a 3 year warranty on all major components (Terms & Conditions apply). We have a full range of suction systems ranging from single surgery to complete custom built modular units for hospitals, meaning that there is a system to suit the requirements of your clinic. 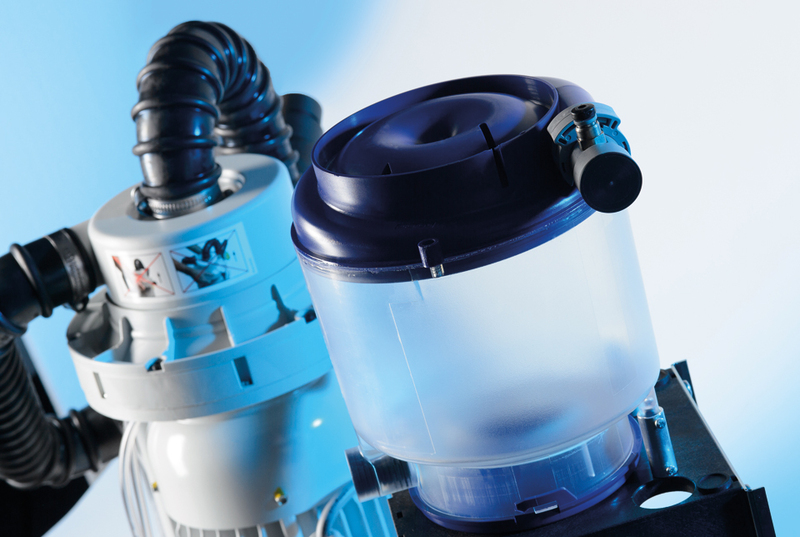 All amalgam separators are fully ISO11143 and Bautechnik Compliant, with over 98% filtration across the complete range. A full range of tip supports, isolation valves, spittoon valves and hygiene consumables are available to complement the systems, and maintain their performance. Cattani have earned their reputation from over 50 years in the market place, supplying suction and compressed air, via the leading dental retailers, to dental facilities, hospitals, universities and the MOD. Almost anyone who has ever visited a dentist has already been treated with products from Dürr Dental. This company has been a reliable partner of dental/medical practitioners for more 70 years. DÜRR DENTAL AG was founded in 1941 by the brothers Karl and Wilhelm Dürr from Gechingen in the Black Forest. The precision workshops were set up in Stuttgart-Feuerbach. The headquarters of the German company are now located in Bietigheim-Bissingen. Here, around 400 employees are engaged in production, research and development as well as sales and marketing. The Dürr Dental Group currently has around 1000 employees throughout the world and enjoyed a turnover of 220 million euros in 2014, and is represented by company personnel in 40 countries. “I am pleased to be able to look back over 70 years of a successful company history and I am looking forward to the future with confidence”, says Martin Dürrstein, CEO of DÜRR DENTAL AG. The name of “Dürr Dental” has epitomised progress and innovation in dental medicine for decades. Many standards of modern surgeries are attributable to the company’s developments. This includes, for example, oil-free dental compressed air and hygienic spray-mist suction. However, the wide product range of this medium-sized company also includes contact-free preparation and towel dispensers and a special prophylaxis cannula. Today, dentists around the world are pleased to trust in the engineering designs of Dürr Dental. The company offers numerous system solutions in the fields of Equipment, Diagnostic Systems and Hygiene. “With its developments, Dürr Dental is setting standards for innovation and technology. We have the right solution for all requirements”, stresses Martin Dürrstein. To ensure the highest possible level of quality, the company carries out virtually all production at its business location of Germany. METASYS has established itself worldwide as a producer of high quality dental products. Main part of the corporate identity is the high sensibility for environmental problems which can be noticed in all our products and services. The METASYS philosophy aims at offering integrated solutions for all needs of a dental surgery: Modern hygiene products, amalgam separation as well as suction systems and compressors which complement each other and meet the high environmental standards of METASYS. Our high-grade technologies protect our water reserves from contamination through mercury and dangerous chemicals helping to avoid unnecessary waste of drinking water. For METASYS, it all began with the amalgam separators. In 1988, it started off as a small “inventor’s business” and began the development of amalgam separation technologies. METASYS continues to set new standards in the field of amalgam separation and is known as one of the leading companies concerning amalgam separating technologies. To meet the demands of both customers and the market, METASYS meanwhile offers a wide range of products around dental office equipment: suction systems, compressors, hygiene systems, water decontamination systems, a wide range of disinfectants, as well as an in-house amalgam recycling services. Today, METASYS is an expanding Tyrolean company that has become a dependable partner for dentists as well as trade and industry associates with its innovative products and reliable services. A place to store our personal stuff, at home or wherever. A space to empty our pockets into, and even charge the phone. An ambient light and a furniture complement. Going beyond essentiality, innovation accessible to all, dentalArt philosophy concentrated into a sheer marquetry of lines and volumes. Furniture quality and an innovative concept available at incredibly accessible prices. In every space, useful and compatible everywhere, Fringe’s design is concrete and realistic. It is modeled and therefore may be adapted to any wall. Designed and built with the professional in mind in order to create a space that encompasses the individual and allows him/her to do their very best. Want to discover what Fringe can do for you? Ask here for a customized project. It’s free, really! Fringe’s unparalleled modularity easily adapts to your operational and logistics needs. Each and every corner of the office becomes a work area, thus taking the best advantage of the space and rationalising organisation. The Tornado 2+ is one of the quietest compressors in dentistry,yet – it is still very powerful. The highly developed compressor set is extremely quiet, and can have a calming effect on both patient and practitioner. But how quiet is quiet? The answer is exceptionally so! The Tornado has a new aero dynamic noise reduction hood which ensures the unit does not exceed 56 db(A) whilst in use. RPA helped me create my new practice and the kit available now makes it so much easier to fix people at the highest level. A patient of ours fell asleep two weeks ago halfway through a double implant placement and apicectomy. I thought for a moment he’d died, until he started snoring ! “I started wearing Pastelli when I lived in Italy, and I haven’t looked back,” says Dr Nina Bal Gourgey, a Cosmetic Dental Surgeon and Facial Aesthetics expert at both Oasis on 21 Kensington Street and Sonria Dental Clinic in Marylebone. “I have both the Houston slim fit lab coat with silver Lurex lining and classic Erevan lab coat as well as a Beirut matching tunic and trousers with a mandarin collar and tailored cuffs. “All of my garments are extremely durable, comfortable to wear and very easy to wash and maintain, which ultimately is down to the quality of the material and manufacturing processes used by Pastelli. “What I love the most about my uniforms, however, is the cut – nothing else fits like Pastelli. It’s important to me that I look and feel my best in practice, and through their designs, Pastelli helps me achieve that. “Dental uniforms need to be reliable, and that’s exactly what we get with Pastelli from RPA Dental.” What we love about Pastelli uniforms is that they’re made to last,” says Lindsey. “The fact that they look good is a bonus. “At E-line Orthodontics we pride ourselves on providing an exceptional service, so when we decided to upgrade our uniforms we put a lot of time into finding the very best,” says Dr Kaval Patel, one of the practice’s specialist Orthodontists. Pastelli uniforms offer a unique combination of comfort, durability and style that is noticeably head and shoulders above the rest. OUR FRIENDLY UK BASED SALES AND TECHNICAL TEAM ARE READY TO CHAT. We have two bases for sales and technical support, both in Manchester and London, from which we are able to respond quickly and efficiently, to the needs of our customers. We hold an extensive stock of genuine replacement parts, minimising downtime to our clients.